People panic too much over cooking for Passover and that’s the truth. There is no reason one must cook any differently than during the year, for the most part. 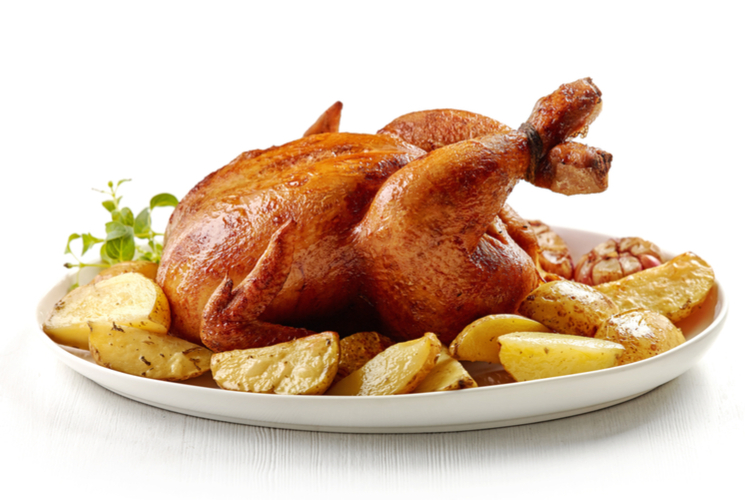 Roast chicken and potatoes, for instance, is just as suitable for Passover as it is year round. But it seems that people think they must do unusual things with matzoh, matzoh meal, and potato starch. The truth is, it’s really easy to cook for Passover once you realize there are fewer okay foods and that you don’t have to do weird things with unleavened bread. Roast salmon and mashed potatoes and a green salad. Perfect. Steak and French fries. Perfect. Brisket with vegetables roasted in the gravy. Not to mention spring delights like strawberries, artichokes, and asparagus. All kosher for Passover. So take a deep breath and say thank you that you absolutely do not have to do weird things with matzoh, thank you very much. And then proceed to cook as per usual!